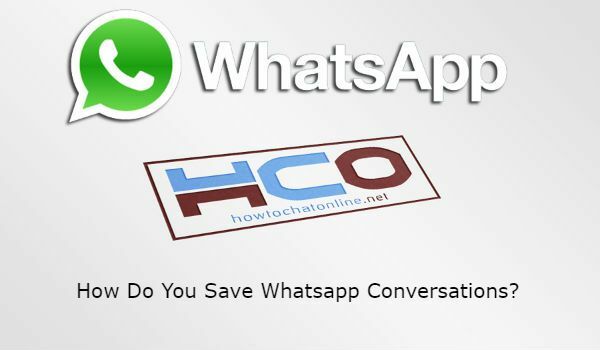 How Do You Save Whatsapp Conversations? In Android devices, tap three dot menu. Skip this step for iPhone. Tap on Chats section on the settings page. Select on Chat backup from the options. Tap on backup button to save WhatsApp conversations. We got this question from a user of How to Chat Online. You can always feel free to ask us to get free and immediate support. You can comment this page to get support or send an email to contact@howtochatonline.net. We are going to respond you as soon as possible. There are some basic features on WhatsApp which you can use them for multiple things. One of these features will help you to recall some important messages. You can always use starring feature of the application to recall important conversations. However this won’t backup anything on your phone at all. It will be useful for remember messages and it works good for temporary stuffs. Open the chat which you want to star a message. Tap and hold on the message that you want to mark with star. Tap on three dot menu at the top of the chat. Select star from the menu. Feel free to ask us anything related with WhatsApp via commenting this page. Scan QR code in computer’s screen. Enter the chat you want to copy. Hover all conversation with right click and then release the right click. Left click on hovered messages and copy. Paste it into a notepad. ← How Do You Access an Old iCloud WhatsApp Backup?